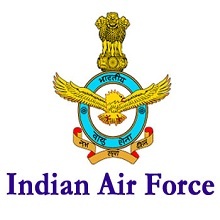 Passed Intermediate/10+2/ Equivalent examination with Mathematics, Physics and English with minimum 50% marks in aggregate and 50% marks in English OR Passed Three years Diploma Course in Engineering in any stream, as mentioned in the drop down menu of apply online section under candidates login on the CASB web portal www.airmenselection.cdac.in. The candidate should have completed the course from a Government recognized Polytechnic institute with 50% marks in aggregate and 50 % marks in English in diploma or in Intermediate/Matriculation, if English is not subject in Diploma Course. Group ‘X’ Trades: Duration of the Online test will be 60 minutes and will comprise of English, Physics and Mathematics as per 10+2 CBSE syllabus. Group ‘Y’ (Except Automobile Technician, GTI, IAF (P), IAF(S) and Musician) Trades: Duration of the Online test will be 45 minutes and will comprise of English as per 10+2 CBSE syllabus and Reasoning & General Awareness (RAGA). Both Group X & Y Trades: Duration of the Online test will be 85 minutes and will comprise of English, Physics, and Mathematics as per 10+2 CBSE syllabus and Reasoning & General Awareness (RAGA). Colour print out of Admit Card. Colour Print out of duly filled application form downloaded on completion of online registration. HB Pencil, Eraser, Sharpener, Glue stick, Stapler and Black/Blue Ball Point Pen for writing. (d) Ten copies of un-attested recent (which was used for the online application registration) passport size colour photograph. Original and four self-attested photocopies of Matriculation Passing Certificate (required for verification of Candidate’s Name, Father’s Name and his Date of Birth). Original and four self-attested photocopies of Matriculation Marks Sheet (only applicable for three years Diploma Course holders when English is not a subject in Diploma Course). Original and four self-attested photocopies of Intermediate/10+2/ Equivalent Examination Passing Certificate and Marks Sheet. Weight: Proportionate to height and age. However, minimum weight of 55 Kg required for Operations Assistant (ATS) Trade only. Health: Candidate should be free from medical or surgical deformity.